Martin’s first claim, that he is a priest in good standing, is neither contested nor relevant to the question of whether his book is doctrinally sound or pastorally trustworthy. The Roman Catholic Church’s canonical discipline on publishing materials related to faith and morals is found chiefly in Canons 822-832 and focuses on two well-known markers of doctrinal orthodoxy and pastoral suitability, namely, the “nihil obstat” (a theologian’s certification that nothing obstructs faith or morals per 1983 CIC 830 § 2) and the “imprimatur” (a local ordinary’s determination that the writings may be responsibly published per 1983 CIC 830 § 3). The nihil obstat does not imply that everything in a text is stated correctly, but rather, is concerned with whether anything is stated wrongly; the imprimatur does not imply that a book is actually good or helpful, but rather, asks whether it is a bad idea to publish it. Throughout the process, authors and their works are generally, and understandably, viewed benignly (e.g., 1983 CIC 212). Martin’s book, though falling within the categories for which a nihil obstat and an imprimatur are expressly recommended (1983 CIC 827 § 3), does not, in my opinion, require such certifications and he is within the law to have published it without them. Of course, the lack of these common certifications is hardly evidence of the soundness of his work. Martin’s book does have what it is required to have, namely, a religious superior’s “permission to publish” (imprimi potest), a clearance all members of institutes of consecrated life must obtain prior to publishing these sorts of materials. Instructions issued in 1992 by the Congregation for the Doctrine of the Faith expect religious superiors, prior to issuing their permission for publication, to consult with at least one trustworthy theologian about whether anything in a book such as Martin’s is harmful to the faith or morals. Martin himself might or might not know whether this prior theological review was actually carried out but Fr. 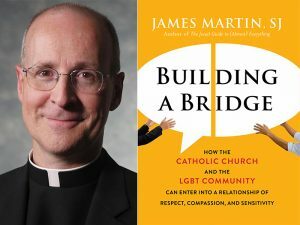 John Cercero, sj, the superior who granted permission for Martin to publish his book, would certainly know. Thus, in short, to tout a religious superior’s imprimi potest as proof of one’s personal or authorial orthodoxy is to misconstrue what that certification is and what it means. Previous post: White Bread and Shot Glass of Grape Juice: But Now I am Home!